The world's only elite track cycling league, The Revolution Series comes to London this November. 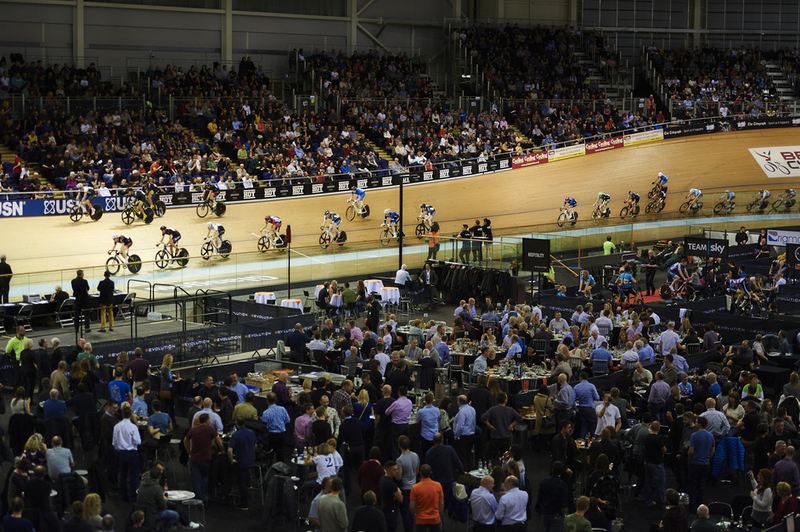 Also stopping at Manchester and Glasgow, the London event takes place at Lee Valley VeloPark and will be a fast-paced occasion that's exciting for all ages, as well as providing the opportunity to visit one of the London 2012 Olympic venues. The London leg comes ahead of the final three rounds at the National Cycling Centre in Manchester, and will provide an afternoon and evening session packed with male and female British and international cycling stars. Adding to the excitement, the cyclists will be fine tuning their skills ahead of the 2016 Olympics in Rio. What are the best dining options near Revolution Series London? Revolution Series gyms, sporting activities, health & beauty and fitness. The best pubs near London Revolution Series. Revolution Series clubs, bars, cabaret nights, casinos and interesting nightlife. Where to have your meeting, conference, exhibition, private dining or training course near Revolution Series. From cheap budget places to stay to luxury 5 star suites see our discounts for Lee Valley VeloPark hotels, including Holiday Inn Express London-Stratford from 90% off.